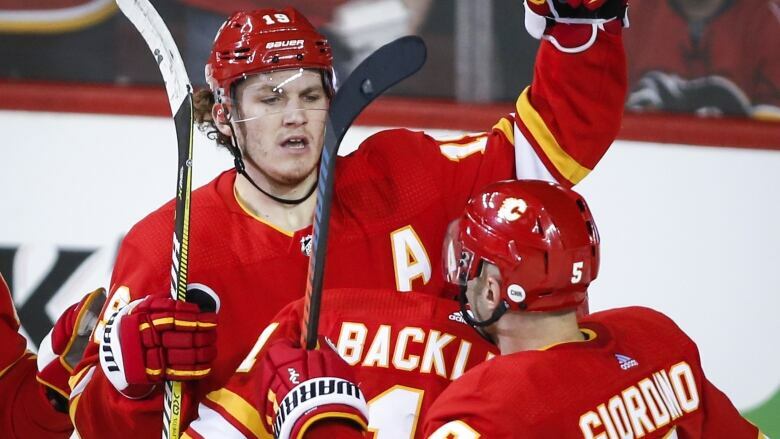 Their first practice after securing an NHL playoff berth was remarkably ordinary for the Calgary Flames. The Flames (44-21-7) will be a post-season team for just the third time in a decade. Their first practice after securing an NHL playoff berth was remarkably ordinary for the Calgary Flames. The first Western Conference and Canadian team this season to lock down a playoff spot held a short, hard skate with some special-teams drills thrown in Monday. The Flames (44-21-7) will be a post-season team for just the third time in a decade. Calgary was quickly swept in the first round by the Anaheim Ducks in 2017. After five years of playoff-free hockey, the Flames reached the second round before bowing out to the Ducks in five games in 2015. Coming off a weekend loss to the Winnipeg Jets, the playoff clincher being Minnesota's overtime loss to the New York Islanders on Sunday when the Flames were idle, making the moment feel less momentous. "It was pretty subdued really, but it's good," head coach Bill Peters said. "It's a good situation. I've never been in a situation, where, with this many games left in the regular season you know you're in." The only fanfare marking the occasion was a general manager Brad Treliving saying a few pre-practice words to the players. "Tre came in real quick and talked to the guys and that was real good," Peters said. With 10 games left in the regular season and 20 points still on the table, the carrot the Flames are chasing is staying ahead of the San Jose Sharks hot on their heels in the Pacific Division. "Any time you make playoffs that's step one, right?" 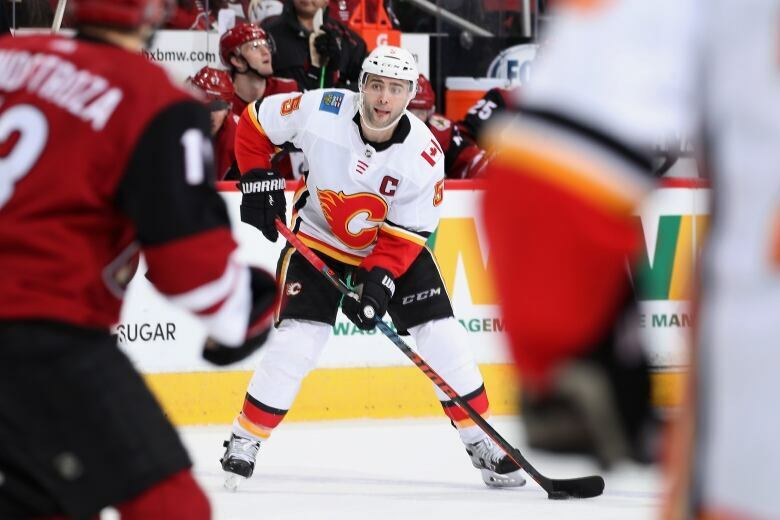 Flames captain Mark Giordano said. "That's an accomplishment obviously to get in. It's a tough league to do it in." The 35-year-old wasn't able to play in the post-season four years ago because of a torn bicep. "For me, being an older guy, you don't take it for granted because there's been a lot of years where we haven't gotten in," the defenceman said. "Really looking forward to playing those games." Calgary has a game virtually every second day from now until the regular-season finale at home April 6 against the Edmonton Oilers. Six are at home including Tuesday's tilt against the Columbus Blue Jackets and Thursday's date with the Ottawa Senators. The only real advantage Peters can see to an early clinch is if the Flames get a healthy lead in a game, there might be an opportunity to reduce ice time for some of his big-minute men. "If would be nice if we were able to do that, but it's hard at this time of year right?" Peters said. "To get a lead and extend it at this time of the year is hard, but if we were able to do that, I think that's where we could maybe cut back some minutes." Proven playoff performer James Neal is closing in on a return after missing the last 15 games with an upper-body injury. He skated with the main group Monday for the first time since colliding with Florida Panthers winger Jayce Hawryluk on Feb. 14. The 31-year-old has 31 goals and 24 assists in 100 career playoff games, including runs to the Stanley Cup finals with Nashville and Las Vegas in 2017 and 2018 respectively. Peters indicated Neal could be back in the lineup by Thursday. "Getting excited," Neal said. "You never want to be hurt, but you use that time to be ready for playoffs. "The season is just starting for us now. We did a great job all year to put ourselves in a position to make the playoffs. There's nothing better than playoff hockey and winning in the playoffs. It's what I want to do. That's why I'm here and looking forward to it."